Every public and nonpublic high school in Iowa accredited by the state Department of Education and that administered AP exams in May 2017 was invited to participate in the 2018 AP Index. Schools had the opportunity to decline participating in the 2018 AP Index. 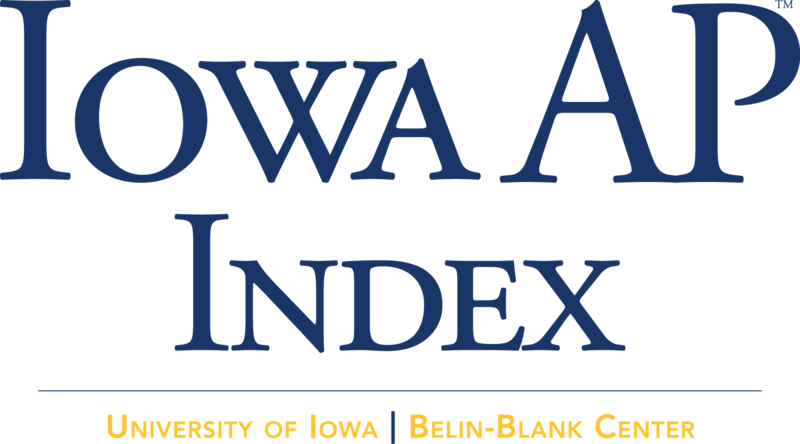 The Iowa AP Index for a given high school is the ratio of AP exams taken by its students (any grade) divided by the number of its graduating seniors. The number of AP exams administered per school was provided by the College Board. The number of graduating seniors per school was provided by the Iowa Department of Education or the school. The number of graduates for a high school, as reported by the Iowa Department of Education, includes all students who received a diploma in the 2016-2017 school year from the attending building. For reference, an AP Index of 1.00 means that the number of AP exams for that school equals the number of graduates. A high AP Index is a reflection that a school has developed a culture that is supportive of student participation in AP courses and exams. The Iowa AP Index provides a fair comparison of AP opportunity across school size. The 2018 Iowa AP Index is based on the AP exams taken in May 2017 and school graduates in May/June 2017. 210 schools had at least one student take an AP exam in 2017. Of the schools eligible for the 2018 AP Index, 98% agreed to participate. We calculated a 2018 AP Index score for all the accredited public schools in Iowa based on all exams taken by Iowa public school students in 2017 and 2017 Iowa public school graduating seniors. For comparison, the 2017 AP Index for all Iowa accredited public high schools was 0.63. Thus, the 2018 Iowa AP Index for all public schools indicates a slight decrease in AP participation in the state compared to 2017. The overall trend has been increasing since 2005. Magnet schools, Specially Accredited College Preparatory High Schools, non-accredited schools, and home schools are not included in the Iowa AP Index ranking. However, the Belin-Blank Center recognizes magnet schools and Specially Accredited College Preparatory High Schools for providing AP opportunities. Des Moines Central Academy, a nationally known magnet school, is recognized for the excellent performance of its students. We commend Central Academy for its 2018 Iowa AP Index of 2.93. Rivermont Collegiate, in Bettendorf, is a Specially Accredited College Preparatory School that places special emphasis on AP coursework and exams. We commend Rivermont Collegiate for its 2018 Iowa AP Index of 3.33.